Need Domestic Cleaning in Potts Point? Pristine Home offers the most comprehensive cleaning services in Potts Point. For over 10 years, we have served the needs of businesses with quality cleaning services. We offer home and workplace cleaning on a regular weekly, bi-weekly, and monthly basis. We also provide one-off spring cleaning to declutter your home and get rid of dirt buildup in hard to reach areas. Have an urgent need for quality cleaning? Our cleaners are available for next day appointments. Simply book online in less than 60 seconds and we will arrange for cleaning technician to do a massive cleaning of your home as early as the following day. Cleaning chores are exhausting and time-consuming. 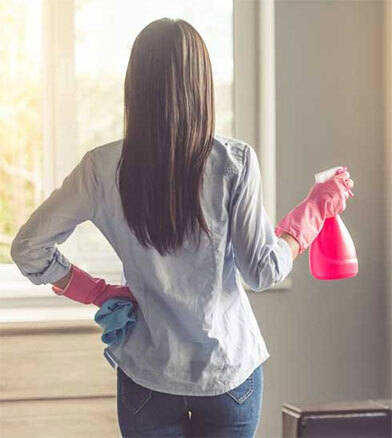 Instead of taking on the task of house cleaning on your own, call in professional cleaners to supplement some of the house work you do on a regular basis. Our cleaning team will work on mopping floors, wiping down greasy surfaces, and decluttering bedrooms and living areas so you can come home to a place that smells and looks clean. Moving out of a rented property is a big task – you have to pack your things, fix the changes you made within the property, and clean every room to meet the requirements of your landlord. Good thing Pristine Home offers a vacate cleaning service that focuses on the kitchen and bathroom. We will refer to the cleaning checklist given by your landlord in performing our tasks, so you can have peace of mind that you will get your security deposit back. Every home needs a deep clean at least once a year, and spring may just be the perfect time to do that because of all the dust and dirt that have accumulated throughout winter. Why tackle this big task alone when you can hire expert cleaners to do the dirty work for you? Pristine Home provides a spring cleaning service that includes dusting ceiling fans, cleaning window sills, vacuuming curtains, and polishing wood furniture. A dirty bathroom is the perfect environment for germs to grow. To stop bacteria from spreading, schedule a regular cleaning of your powder room. We help transform your bathroom into a sanctuary where you can de-stress after a long, tiring day. Our service includes shining the mirrors, scrubbing sink fixtures, cleaning the shower and tub, cleaning out drawers, and disinfecting the toilet. If you are nearing the end of your tenancy, but don’t have the desire to perform a detailed cleaning of the place, seek the help of our professional cleaners. We are experts at doing end of lease cleaning and have helped many renters get their full deposit back. We are also familiar with the specific requirements of landlords when it comes to vacate cleaning, so you can count on us to dust all areas, clean the toilet and bathtub, remove dirt buildup, and clean pantry shelves. Many people who live in apartments know the struggle of keeping their living space clean. Apartments can easily get dirty especially when you like leaving the windows open for ventilation. The dust from outside will settle on the floor, and on your belongings. To maintain cleanliness in your apartment, schedule a regular apartment cleaning with Pristine Home. We clean not just the living areas, but the bedrooms, bathrooms, and kitchen as well. Relocating to a new house is a big task. You have to make sure that the property you are vacating is free from dirt and dust. You also have to deal with the strict requirements of your landlord regarding end of lease cleaning. To ensure that you will get your bond back, leave nothing to chance and set a cleaning appointment with Pristine Home. We are experienced in performing move out/ move in cleaning that helps renters transition to a new place with ease. If you need cleaning services done by experts, simply visit our website to book a cleaner, review the quote that will appear, and wait for our cleaning technicians to visit your home on your desired date. The process only takes 60 seconds or less. We always strive to deliver quality cleaning services that will make our clients completely satisfied. If you find that we are lacking in some areas when providing a basic or deep cleaning for your home, let us know and we will resolve the issue at no extra cost. We can help you with a cleaning solution that will exceed your expectations. We will fit in with your schedule and lifestyle. Work with only the best cleaners in the business. If you are not happy with our service for any reason we will work with you to resolve them at no expense to you. We personally select the perfect cleaner for you from our staff. We want you to feel safe and confident our cleaners will look after you, your family and your home. Our cleaning rates are based on the average pricing of other cleaning services in the area. This is to ensure that all our clients will pay just the right amount while still receiving the best service. No time to clean? Pristine Home Can Help! Maintaining a tidy home can be a constant challenge for homeowners who have a busy family life. You spend a large chunk of your time tending to the needs of the kids, and preparing meals for the whole family and you barely have any extra time to vacuum the floors, or to do other things that you truly enjoy. We know the struggle of keeping dirt and dust at bay, which is why we offer regular cleaning services that make it easier for you to maintain a smooth running household. As a trusted provider of quality cleaning services in Potts Point, we guarantee that your house will be spotlessly clean after every cleaning appointment. 10 Years Experience: We’ve been operating in Potts Point and the surrounding suburbs for 10 years now! All our cleaners are personally vetted and police checked to ensure the safety of you, your home and loved ones. We also carry public liability insurance for all the work we do. 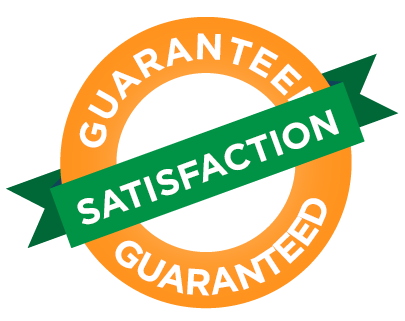 Our new and loyal clients continue to express their satisfaction with the quality of cleaning services we deliver. As you’ll see from our reviews and ratings, we’re one of the highest rated cleaning companies in Sydney – that’s because we love satisfying every single client, and we won’t rest until we have done so. 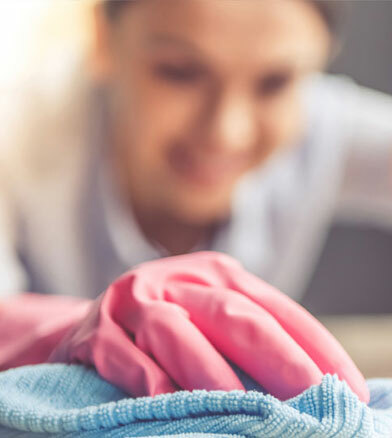 It doesn’t matter how busy your schedule is, our team can work around your timetable to organise a suitable time for your home cleaning service – whether you need a regular weekly clean, or just a once-off spring clean. Book a cleaning service online today – you won’t be disappointed.